This morning started off with something that I haven’t had in way too long. A bunch of spinach, a frozen banana, a handful of strawberries, and some almond milk blended into perfection. 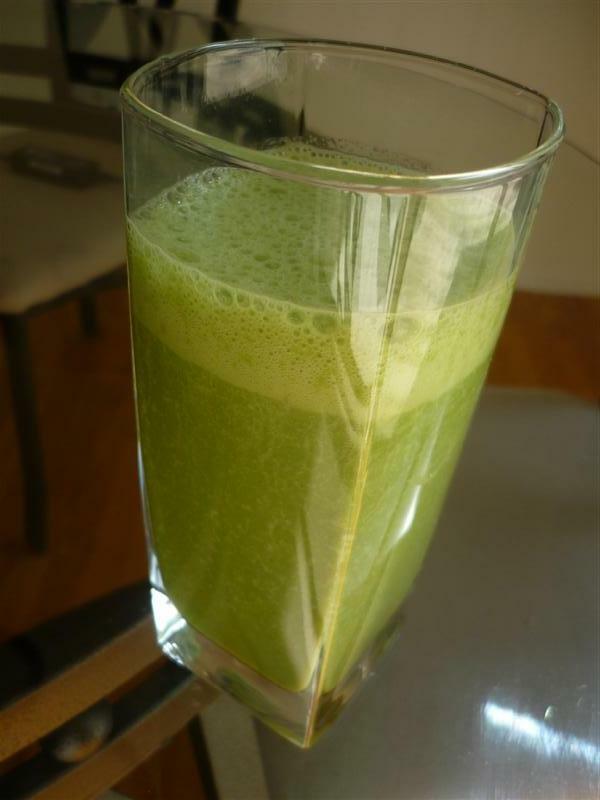 A green smoothie made the perfect “Part One” for breakfast this morning. I had to fix something quick that I could chug down while packing up a few special treats that would become breakfast “Part Two” not too long afterwards. Makenzie’s preschool class had a fall party today and I offered to bring the snacks for this little event. I decided to make two of Makenzie’s favorites – one healthier and one just plain ole cute and sugary. For starter’s, I did a muffin version of Teri’s Pumpkin Gingerbread. Full-sized for the adults and some minis for the kiddos. Then, for the purely kid-fun treat, I made Oreo truffles dipped in white chocolate and turned into either ghosts or pumpkins with the help of edible markers. Aren’t they cute? I think I have finally figured out the perfect dipping technique! It’s likely old news to many of you, but I had to share my dipping success since it took me a bazillion years to figure it out. Breakfast “Part Two” most certainly consisted of a muffin and a truffle for me. Mmmmm! And I have quite a few muffins left over for snacks. Although not too many Oreo pops. I shouldn’t be surprised. What would you have picked as a kid? Well, unless you’re this kid. She was way more into the muffins than the Oreos. Don’t be too impressed. I’m sure she will be begging for her Oreo pop come afternoon snack time. She’s her momma’s kid after all. She loves her sweets, but also enjoys healthier options too. Which is exactly why I went the route I did when choosing snacks for the kids at today’s party. I don’t want to be the mom that forces food on my own kids, so I certainly won’t take that approach with other children! I think kids can eat healthily without making them – but that’s a whole other topic. I like balance for my kids, so I figured why not approach providing a snack for others the same way? Have a healthier (but still yummy) option and a more standard kid-fare option. Perhaps on some level it’s just going with the status quo, but oh well. It gives me joy to bring smiles to these faces. And other kids’ faces…but we’ll let their parents slather their faces all over the internet at their will, not mine. Or I just think my kids are the only ones worthy of space in my post. Shhhh. Hehehe. Well, it’s time for me to head off for an afternoon six miler! Ciao, bellas! What do you think about kids and treats?